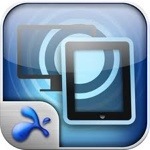 Splashtop app for the iPad and laptop. This is a great app for the iPad, and allows you to have the laptop applications you are running show up on the iPad. This is great for teachers! This means that you can have your documents from your laptop show on the iPad, then run this through the IWB with the iPad plugged in. This means your laptop does not have to be in the same room as you, so you don’t have to carry it around with you. This is nice if you teach in a number of different rooms as I do. The other thing this is great for is as a mobile slate for the IWB. So how would this work? When the laptop and iPad are on the same wifi, start splashtop on the laptop and iPad. Once running you can get the IWB software up (in my case I use smart notebook). Once this is running you can use the touch screen ability of the iPad to pass amongst students to get them to fill in answers, contribute to discussions, annotate other peoples work or any other things you can think of. This will then show up on the IWB where the laptop is plugged in. It also means you can run flash based programmes and software on the iPad through the splashtop app showing your laptop. Can you think of any more ideas of how it could be useful for teachers? 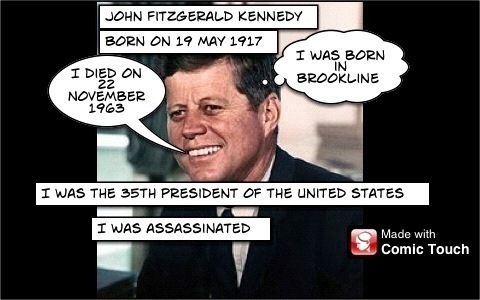 Skitch is a new iPad app that lets you take pictures, screenshots, web pages or photos and annotate them. 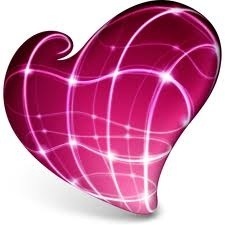 This is then able to be saved into evernote and used later or as a reference. Now I really love evernote, and have talked about it before on this blog, and use it in all my work flows. This addition of skitch means that getting pictures annotated and into evernote could not be easier. 1. Having an iPad and moving around groups means that with the camera I can find students with good work, take a picture, annotate it with them so they can get some AfL there and then, then display this work on the board through my laptop after I have quickly synced with evernote. Students then see a model example/ good piece of work. 2. Using skitch I take photos of students work as evidence of assessment. This is then stored in evernote if I need to moderate or show evidence of grades given. With this I can also annotate, then email then students the picture of their work giving the grade and feedback. 3. Putting together tutorials is easier with skitch as well. Taking a web page and annotating what to do makes life so much easier with some students! I also take an iPad lesson with a year 9 group, and skitch gives me the ability to annotate screenshots to show how to use apps. Have you found skitch yet? How do/ could you use it? I have been playing with the ipad for a couple of weeks and i have tweeted about imotion HD. I have used it a couple of times, but found it extremely useful in an APP task with my science class. We used it to show our knowledge of the digestive system while working on unit 8a of the Key Stage 3 curriculum. Leadership or management; educational leadership. I thought that it was an interesting video to watch and covered some really valid points. I was watching it from the point of view of educational leadership, and it struck me that a lot of this video and other articles/ videos on educational leadership talk very much about leadership being somehow superior to management. I am not sure i really agree with this. Obviously it all depends on the situation you find yourself in, and the context. However i believe that the two are intrinsically linked. I dont think that you can seperate management from leadership. There are clear differences between the two, but you need both to be an effective educational leader. Yes you need to climb to the top of the tree to see where you are going, as Stephen Covey said, but you also need to realise when you are up the wrong tree. It is no good being a fantastic visionary, but unable to meet deadlines. It is no good being able to lead change, but not spot when stability is needed. It’s ok to have a direction, but you need a detailed plan of how to get there. In essence i think that Scott’s video is really good (i particularly like the way it is shot and put together). But we need to be careful about giving a hierarchy to management and leadership. I was approached the other day by someone i know who works as a reseller for SMART, and he talked to me about the Smart Exemplary Educator program (SEE). I must confess that i had never heard of it! I had heard of Apple Distingushed Educator, and Google Certified Teacher programs, but took a guest that it must be something similar. It was. It seems like a good way for teachers to increase their knowledge of SMART boards and how to use them effectively. I am a real believer that the board is not the focus of the lesson, and that it should be student focused when it comes to learning. So i am keen to see what SMART’s philosophy is on this, and if they have products that can enhance this. That is of course if they consider me. The application process seems quite straight forward, and i have put on in. Who knows where it might lead. 2 great apps for a history lesson. I have been using ipads in an ICT lesson with year 9’s recently, and we have been using apps to explore different aspects of the curriculum. We have done things such as using garageband to explore music, maps and google earth to incorporate geography and others. Today we used the ipads to create historical top trump cards of some famous people from history. This could be easily adapted for any number of subjects. Maths could have pictures of mathematical concepts and then get students to draw examples on them, English could use it with characters from a book etc. We used comic touch lite (http://itunes.apple.com/us/app/comic-touch-lite/id306608970?mt=8), Safari internet explorer and Bump (http://itunes.apple.com/gb/app/bump/id305479724?mt=8). Students either choose or are assigned historical figures (maths ideas/ characters etc). Using safari students find a picture of the person, and copy it to the photo gallery. Open comic touch lite, and start a new project using photo from camera roll. Then add captions or speech bubbles around the picture. Save the comic to the camera roll. Instruct students to collect all the top trumps cards that have been made and peer assess the cards. Bump the best one to the teachers ipad (if you have one) to print off for display. Here is an example of what was produced in about 20 minutes by a student. They obviously need to do the research around the person/ idea/ concept first. Prezi viewer has made the iPad an even more valuable tool for the modern teacher. Prezi is a really engaging presentation website that allows you to create movable, interactive presentations on a canvass (prezi). Now the iPad is projectable, this viewer allows you to show your prezi’s from the website, and shows the pdf’s, images and videos embedded in the prezi. This is a great way to get students hooked on the content, and keep all your information in one place, and know that you can access it when you need to. I have used this app on a number of occasions and find it easy to use and reallys fills a gap in the way I present content to students. 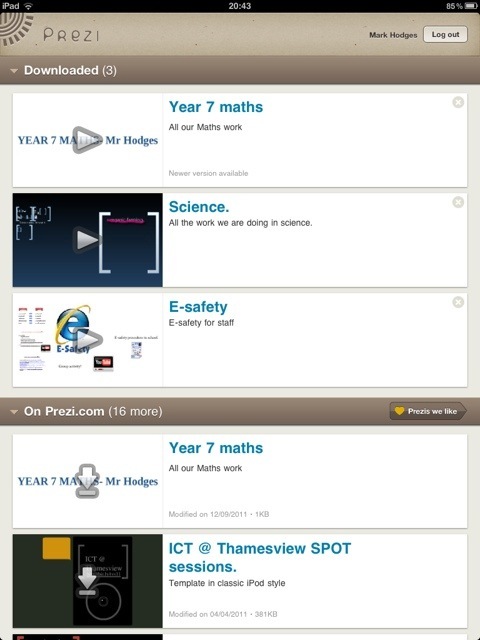 The one thing I would like to see is the ability to edit the prezi’s from the app, but I am sure that will come. Smart exchange; storage and ideas. I have started to upload some notebook files to this as I was told some of the files would be good to share. But once I had started to upload these files it was clear that the site is a resource for teachers to find lesson files to use in classes. It is well split up into sections and easily searchable to find what you want. I have found it particularly good for quiz files which can be adapted to suit your own use.